Ok, so it’s not really an Ode, but it sounded good! So, I’ve announced that I will be joining Starley Primal Pro Cycling team for 2014. 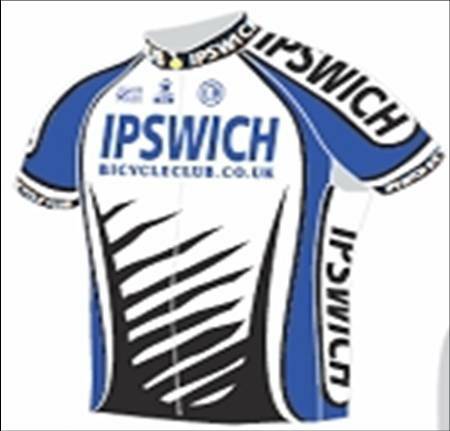 This is both very exciting and a bit sad, because it means that I won’t be racing for Ipswich Bicycle Club anymore. I’ve really enjoyed racing for my local club and have been proud to race in the kit, bringing a little bit of Ipswich all over the country and abroad, and I will definitely miss the “go Ipswich” from supporters all over the country who have recognised the name on my kit. But it’s time to move on up to the next level, women’s racing is rapidly improving and this move is going to help me improve with it, but whilst I’m off to new challenges, I feel it’s time to reflect on the good old cycling club. My bicycle club has been one of the most important elements in my cycling successes so far and I’m sure the humble club has been for many other cyclists and, more importantly, the cycling club will be where the majority of the future peloton will be coming from. Whatever your ambitions in cycling, if you have a road bike, join your local club! The reason why I love my club so much, is that it’s full of absolute stars. From the very first time I turned up with my newly purchased road bike, extremely nervous, having no idea what to expect and ready to go straight back home again, there were always club members with friendly, smiling faces there to encourage, laugh and joke. And they didn’t ride too fast and they didn’t ride too far and they didn’t ignore me and they didn’t laugh at me because I didn’t fit in. Why was I so worried? Since then, I could be spotted at most of the club rides up until recently, when my training routine has changed, but I can still fit the odd one in here and there, it reminds me of why I love cycling so much. I decided to join my local club because I enjoyed doing lots of miles on my bike. I stayed with my club because the club rides were so much fun and I looked forward to them all week. If it wasn’t for these guys who, not only encouraged me to come along to the training sessions, in fact, bullied me a little into doing it, I would never have done my first race. It can be intimidating for a female to enter the masculine world of cycling, but I have to say, it was a long while before I realised that only about 2% of riders on the club rides were women. Nowadays it’s more like 10 -20% (there’s still some way to go). I was rather oblivious of the male/ female divide until I started racing. So, I started doing the club rides, but there is a massive step between doing these and doing my first race. Firstly, I had to build-up the courage to do the “fast club ride”, which I managed and, after a while, must have proved myself willing to push to the limits, because I was coerced into joining the newly formed chain-gang! I will admit now, that I would never have had the courage to do these, if my club mates hadn’t first encouraged me to turn up and then encouraged me to do it when I did turn up and felt like going back home again. All the riders assembled looked really fast (for the record, looks and bikes can sometimes be deceiving!) These didn’t go too well to begin with. I managed about two thirds of the route on the first go (40ish miles) and managed to crash into the back of the gang at a sudden stop and end up in the gravel strip on the second outing! I attribute this, my first cycling crash, to a certain Chris Parker. I still have the scar to prove it. Club mates aren’t all good, are they Chris? I kept going though, even when these rides were absolute torture. 60 rolling miles, hill after hill, and I only managed to finish a handful with the group. Since then, I have learnt about energy gels and sports drinks. Doh! So, I started racing on the back of the training I did with my club and now I’m here! If my club wasn’t as friendly, encouraging and downright fun, I wouldn’t be here now and that is why it’s so important to have a good cycling club and why I hope to always have ties with the club. Yes, there are the odd grumpy angry or show-off cyclists who turn up every now and again, but it’s the eclectic mix that makes a club ride worth while. Happy, friendly, encouraging, eclectic = successful club. Successful club+hard working and committed rider = successful cyclist. Long live the cycling club! This entry was posted in Uncategorized and tagged bicycle club, cyclists, female cycling, Racing, women cycling. Bookmark the permalink.